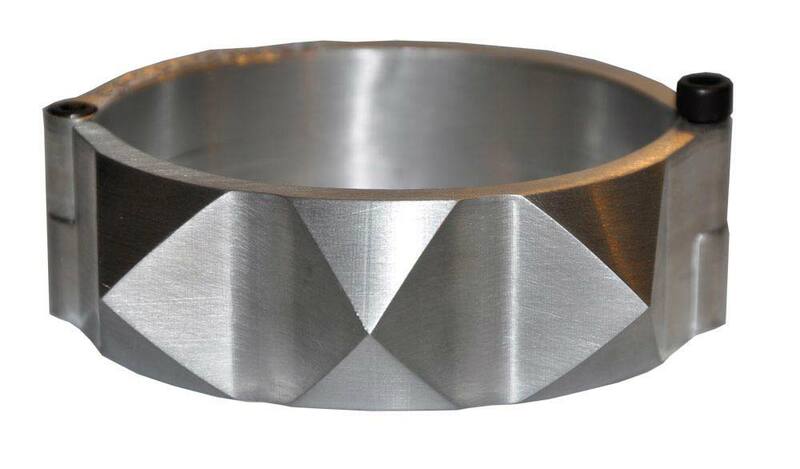 This industrial pyramid spikes cuff from is as unique as it is stunning. 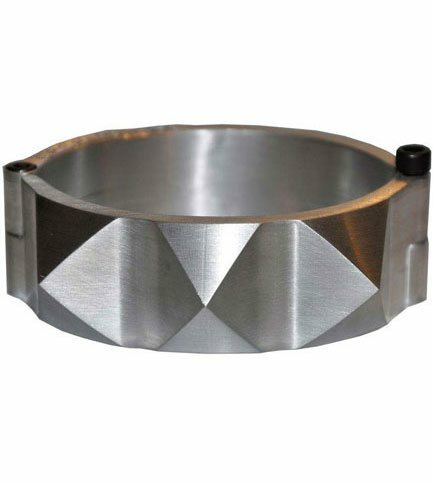 This 2 piece cuff is machined from a solid block of engineering grade aluminum. It is 1 inches tall, has a steel hinge pin, and a thumb screw closure. This cuff has a bright aluminum finish. Hand crafted so no 2 are alike. Made in the USA.